The toys in our bathtub were a constant irritation to me. I saw this idea on Pinterest and it's genius! 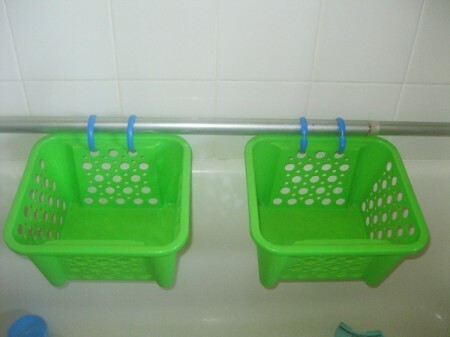 All you need is a shower curtain rod, shower curtain rings and a basket or two. Simply loop the rings around the holes of a plastic basket (I found these at the dollar store). 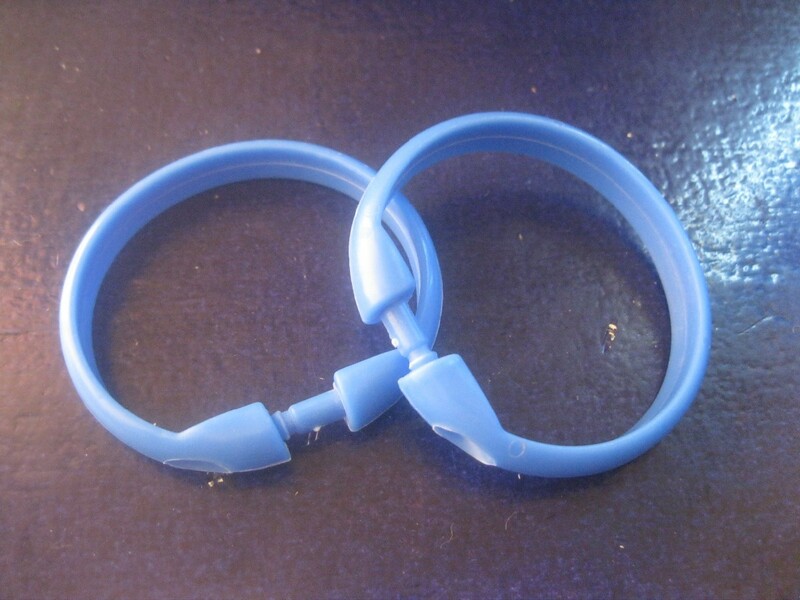 You can loop as many as you like, but I just used one for each side. 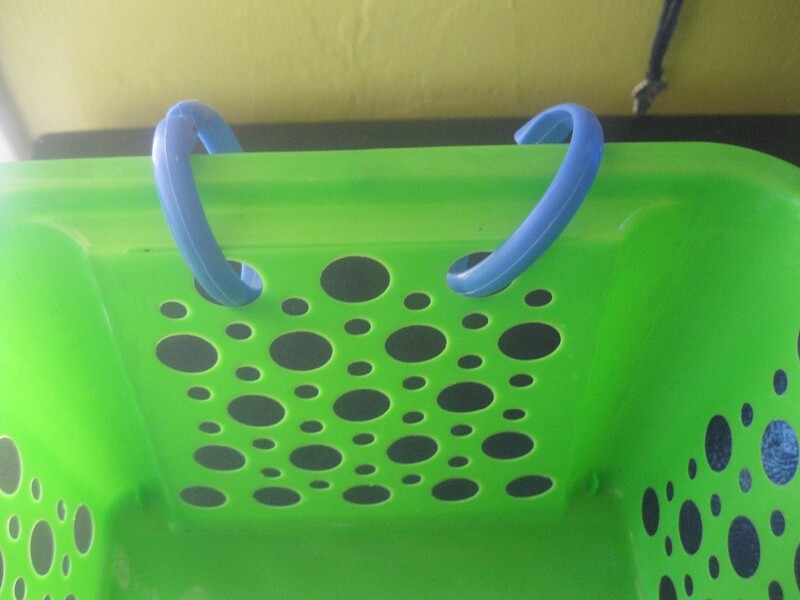 Then slide the baskets onto the shower curtain rod. 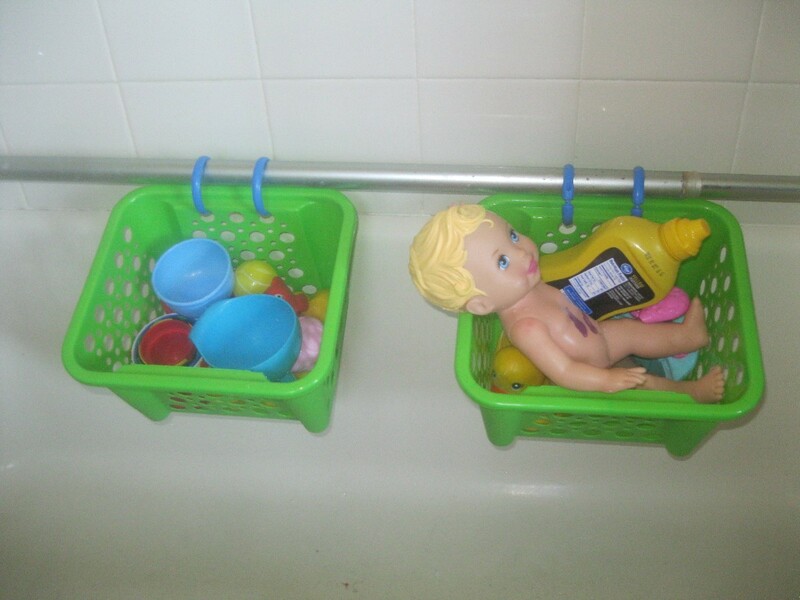 Place the rod along the bathtub, within the kid's reach. You could even lift it up higher when not in use. 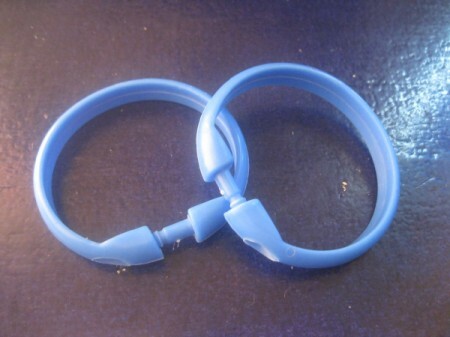 Another wonderful thing I should have known about decades ago!